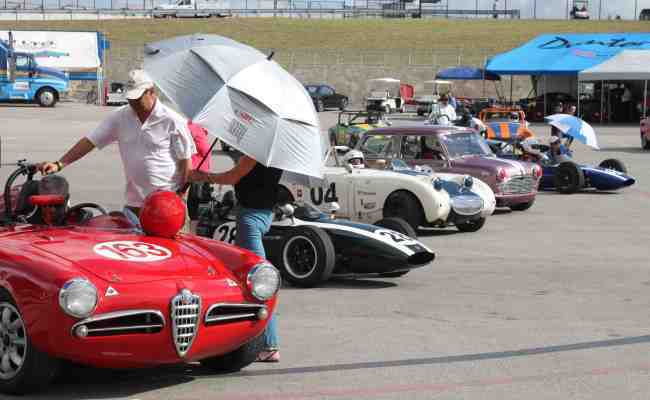 The second annual SVRA US Vintage National Championship at the Circuit of the Americas last weekend dodged the weather bullet early Saturday morning, and presented 5 days of quality vintage racing in 13 different race groups. 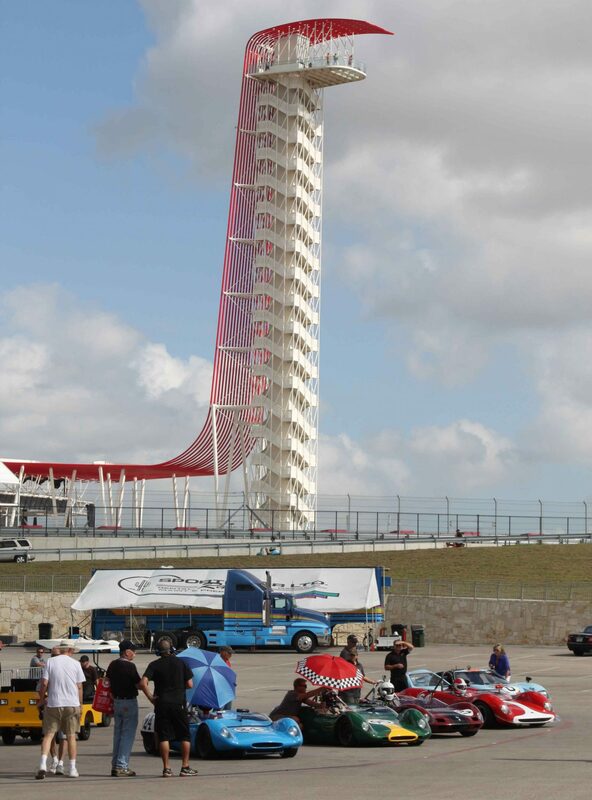 In addition, a feature group of authentic Trans-Am cars was featured – really fast drivers and authentic cars stretching their legs and their skills on the Texas-sized 3.4 mile long Formula 1 circuit. SVRA is one of the oldest and largest vintage racing organizations in the United States. It was founded in 1978 by Ford Heacock III following the success of the initial 12 Hours of Sebring event in 1976. With an initial membership of 25 drivers and supporters, the SVRA has grown to become the premiere vintage racing organization in the country with over 2,000 active members. There is something pure about seeing a racing Talbot-Lago in action, or a Shelby GT350 blasting down a straightway. Yes, these cars look gorgeous standing still, even in a museum. However, rest assured that the likes of Enzo Ferrari and Carroll Shelby would much rather see their creations raced as intended, and that is what the SVRA is all about. Travis Engen picked up his second helmet of the weekend driving his Audi R8 LMP to victory in the Hawk Performance Historic GT/GTP Enduro. Peter Klutt, who shared his Group 6 Corvette with Al Unser Jr. to win the Brickyard Invitational Pro-Am at the Indianapolis Motor Speedway last June, scored again by winning the national championship from the pole. In 2015, plan on attending one of 17 SVRA events around the country, including legendary tracks such as Sebring, Indy, Watkins Glen, Road America, and VIR. New events include Sonoma on May 28-31, Portland on July 9-12, and New Orleans on October 8-11. 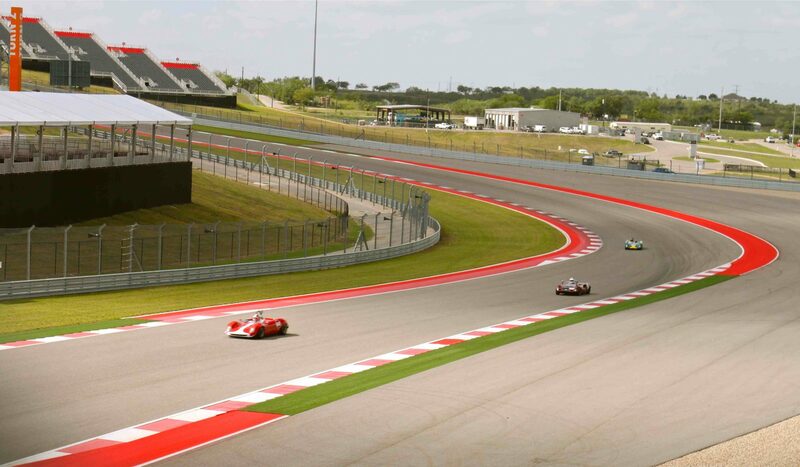 Once again, the National Championship event will be at COTA in Austin on November 4-8. Full results from the 2014 event will be out soon, but in the meantime, visit www.svra.com for the latest coverage.